At the end of World War II, industrial relations programs were established at many universities around the nation. Two of them were set up at the University of California in 1945, one in Los Angeles and the other in Berkeley, on the initiative of Governor Earl Warren. In 1964, the Center for Labor Research and Education was established within the UCLA Institute of Industrial Relations (now the Institute for Research on Labor and Employment) by a statewide joint labor-university committee. Authors of the institute guidelines highlighted key issues of the day deserving of labor-university collaboration: job displacement, the needs of white-collar unions, reducing hours of work, and the problems of the unemployed. Labor Center programs through the years have mirrored trends in the broader economy. The early years focused on the auto industry and the post-WWII aerospace industry, which then dominated the Los Angeles economy. Subsequent programs focused on the entertainment industry and more broadly on health and welfare plans. 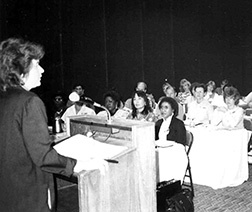 In 1978, the Labor Center expanded its programs in the area of health and safety, leading to the creation of its sister program, the Labor Occupational Safety and Health (LOSH) Program. The growing public sector also led to expanded research and education programs in that area. 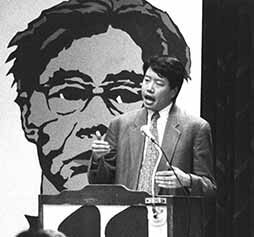 Under the current director, Kent Wong, the Labor Center experienced the largest growth in staff and funding in its fifty-year history, following the establishment of the statewide Institute for Labor and Employment (IRLE) in 2000. This expansion led to the opening of the Downtown Labor Center, building bridges between the traditional labor movement, immigrant communities, and worker movements around the world; strengthening innovative worker education and popular education programs; and promoting student internship opportunities within the economic justice movement. 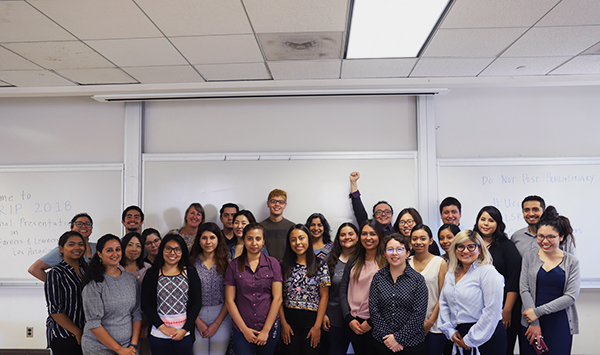 UCLA’s Labor Center has developed innovative programs to fulfill its mission to bridge the gap between UCLA and Southern California working-class communities. Internships are now offered through the Community Scholars Program and the Labor Summer Research Internship Program. Offered jointly with the Department of Urban Planning and initiated in 1991, the Community Scholars Program brings labor and community leaders to campus to develop research and education programs with faculty and graduate students. The Labor Summer Research Internship Program, established in 2001, has recruited and trained a new generation of young activists who are now leaders in the social justice movement. In 2008, the Labor Center launched the California Construction Academy, bringing together union and community leaders, workforce development centers, and local and state government representatives to discuss how to expand careers in the construction industry, promote green jobs, and strengthen policy initiatives that improve economic opportunities for inner-city communities. The Labor Center has emerged as a resource center to strengthen the participation of women, people of color, and LGBTQ workers who have been historically marginalized within the workforce. The Black Worker Center, the city’s first of its kind, was launched in 2010 by the Labor Center to address the job crisis in the African American community. The Labor Center has also been at the forefront of initiating new programs to facilitate the integration of immigrant workers and students within the economy and their communities. 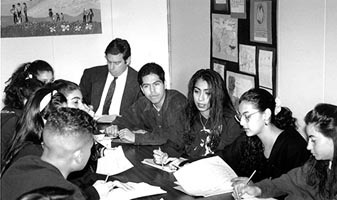 The Dream Resource Center, launched in 2011, promotes the immigrant youth movement and provides access to higher education for immigrant youth. 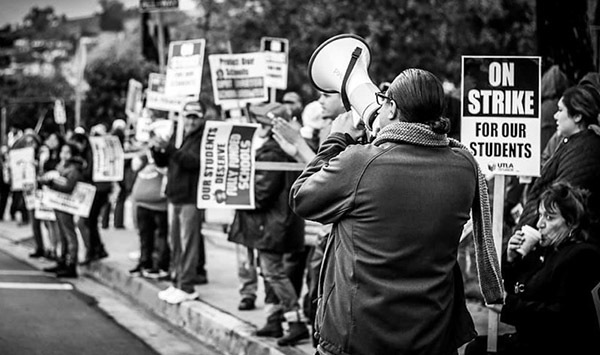 The Labor Center has been at the cutting edge nationally in the field of labor research and education and will continue to play a crucial role in research, education, and policy development that serves the interests of workers and their communities in Southern California.